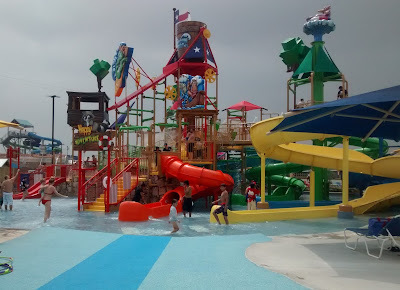 Austin Summer Fun: Visit The New Typhoon Texas Water Park! 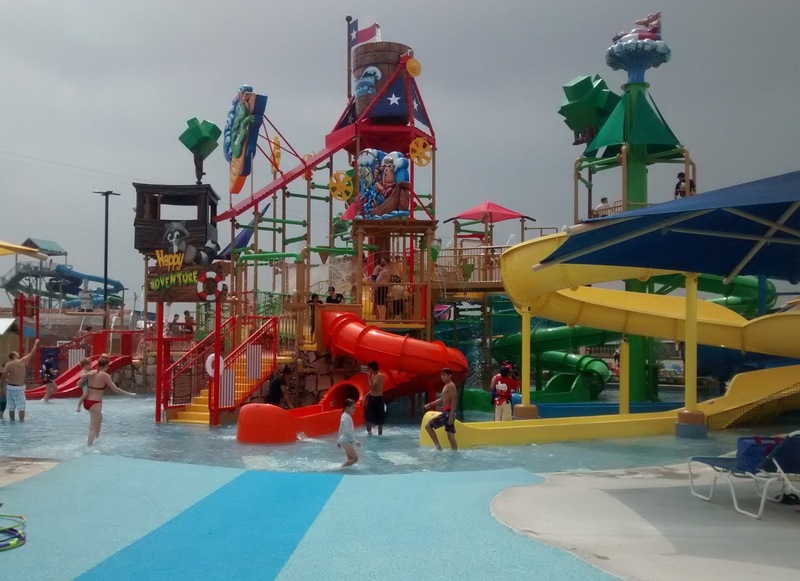 Visit The New Typhoon Texas Water Park! At only about 20 minutes north of Austin, including Typhoon Texas in the 2017 Summer Fun Checklist for Kids was a no-brainer. 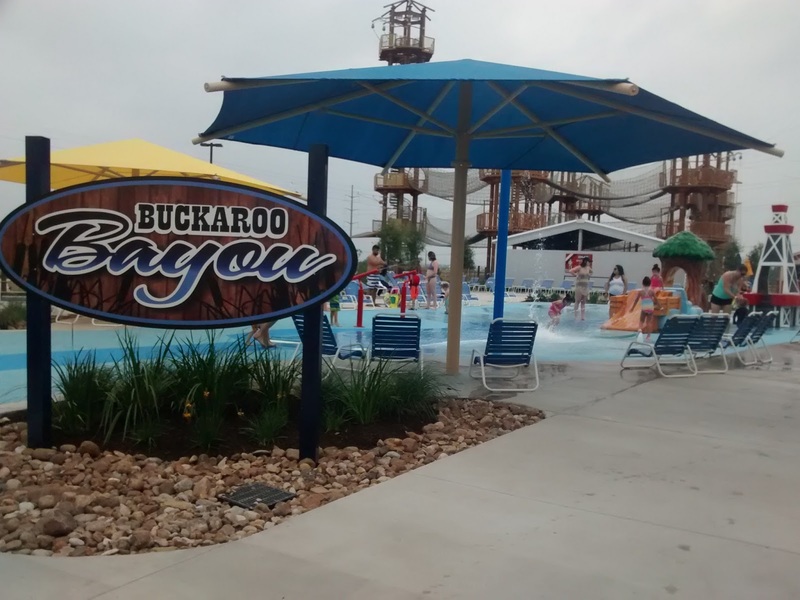 With a full overhaul of the water-park (previously Hawaiian Falls), the Texas franchise promises good times and safety as first priorities – something the old property notoriously struggled with. The recent remodel added new landscaping, tons of shade and the addition of two fantastic children’s areas, the makings of a perfect summer day. And with so many lifeguards on duty, even your most unseasoned swimmers will feel secure. (Seriously, it's like Baywatch out there). 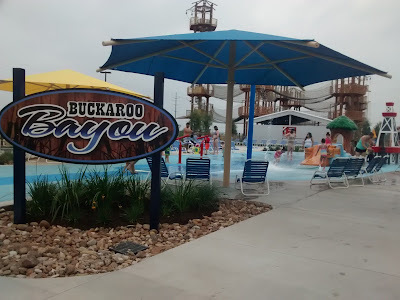 Where the previous park lacked any really good space for your littlest swimmers (or the sort of "in-betweener," kids a tad unsure of large water slides), Typhoon Texas offers the Gully Washer and Buckaroo Bayou to please all ages and experience levels. It's nice for parents wanting to sit in the shade and watch kids play, and also great as a sort of a baby-step for those new to the experience, as slides in this area range in size to ease you in. From here families can check out such rides as The Gunslinger, which locals lovingly refer to as Death Drop. 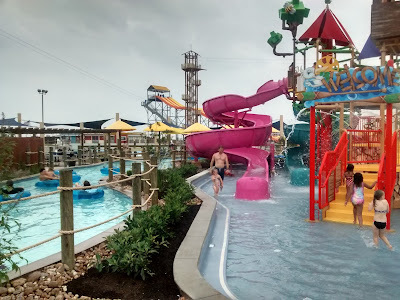 In addition to water-play, Typhoon Texas has an elaborate ropes course and even a zip line tour to really work up a sweat before hitting the pool. Included in your admission ticket, there are two self-guided tours spanning bridges and various obstacles which vary in difficulty and suit a wide age range. At an additional $12.99, the zip lines take off from truly towering heights and allow for unbeatable views. Close-toed shoes and dry clothing are required in this section of the park.Thankfully though you'll not have to lug around a huge bag or change behind a bush, as lockers and dressing rooms are readily available. Our Advice: While Typhoon Texas is covered with umbrellas and cabanas, it’s not a bad idea to hit the park early, knocking it out before that sun really gets going. Also keep in mind that outside food or drink (other than bottled water) is prohibited, though a bevy of yummy options are available. In addition to pizza, snacks and BBQ, the park has a bar complete with frozen cocktails and an assortment of beer. It's a nice touch and rounds out a great summer activity. Thursdays - Movie Night! For a complete list of films see their calendar. Fridays - Night Slides! Enjoy the park after the sun goes down with a DJ till 10 p.m.
Saturdays - Family Night! Local bands play every Saturday all summer long, from 5-9 p.m. See who's performing this week on the Typhoon Texas events calendar. Father's Day Special: Dads get in for FREE! Simply purchase a regularly-priced, above-48-inch, single-day ticket at the Typhoon Texas ticket window, and dad can enter for free June 17-18, 2017. When: Sun - Wed: 10:30 a.m. - 7:00 p.m.; Sat: 10:30 a.m - 10:00 p.m.
Age 2 & Under - FREE; Zip Line Tour - $12.99; Cabana Rentals - starting at $74.99/day, cabana's include food, wait staff, VIP parking & early admission to the park. FYI, there is also a live DJ on Thursday nights until the movie starts and on Sunday afternoons as well.